Dubai, UAE: TechAccess, the leading value added distributor in the Middle East, North Africa, LEVANT, Pakistan and Afghanistan has successfully completed one year as a Hitachi Data Systems’ (HDS) Authorised Training Center. 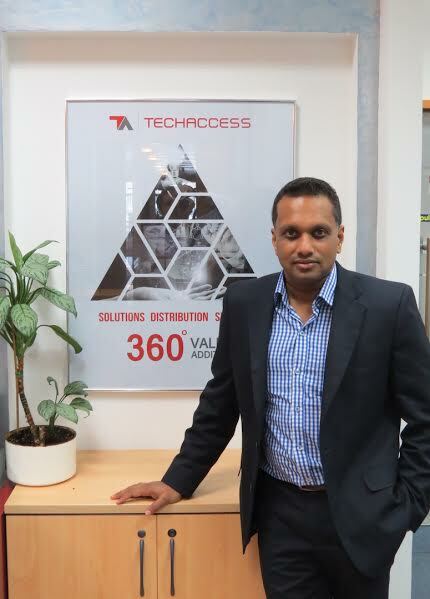 In the past year TechAccess has conducted numerous training at its Solutions Centre in Dubai for HDS partners and customers across the Middle East, Saudi Arabia, North Africa and Pakistan. TechAccess became a value-added distributor for HDS in 2008, and in the past year the company focused on conducting sales, pre-sales, post-sales and technical trainings for HDS’ partners and customers. The intensive five-day technical training consisted of a break-fix routine, and machine support sessions that gave partners hands-on experience with equipment to manage high-end storage, converged solutions, as well as content and archiving solutions. As part of its training services, TechAccess’ ‘Test before you Invest’ model allows partners and customers to conduct proof of concept, executive briefings, need assessment, and solution prototyping. Under this model partners and end users are welcome to try out a solutions or product before they implement it, to ensure that it actually fits their requirements. Partners are also encouraged to use the training center to validate their skills after completing the training and certification process. TechAccess has accelerated its training frequency and is now conducting as many as three training sessions a month for customers and partners from across the MENA, Pakistan, and Levant. In line with HDS’ regional focus, recent training sessions covered HDS’s Converged Solutions, Object Storage, Flash Storage and Big Data solutions, as well as pre- and post-sales. “As HDS intensifies its regional focus on converged solutions, flash storage, and big data, TechAccess will step up its focus on training, to ensure that partners are equipped to provide their customers with the best advice, implementation, and service. We look forward to maintaining our status as a strong regional partner for HDS by addressing all their future training requirements in the coming months,” added Wijeratne.